German football is mourning the loss of Johannes 'Hannes' Löhr. 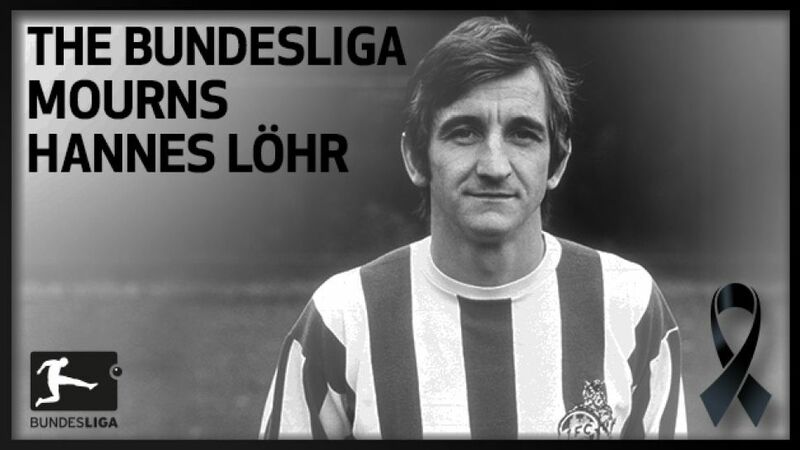 Löhr passed away on Monday at the age of 73. All of football has lost an extraordinary personality with the passing of the former Germany international and 1. FC Köln sporting director and coach, who also coached Germany's U-21s. During his playing career, Löhr won the Bundesliga and DFB Cup double with 1. FC Köln in 1978, having already lifted the DFB Cup with the Billy Goats in 1968 and 1977. In 1968, the left winger was also the Bundesliga's top-scorer with 27 goals. Born in Eitorf, near Cologne, Löhr played a total of 381 Bundesliga matches for 1. FC Köln, scoring 166 goals in the process. He scored five goals in 20 appearances for Germany and finished third with his country at the 1970 FIFA World Cup in Mexico. He was then also part of the Germany squad for the 1972 UEFA European Championship triumph. Löhr went on to win the bronze medal as Germany coach at the 1988 Olympic Games in Seoul. Not only are 1. FC Köln in deep mourning, but Löhr's death has prompted an outpouring of grief throughout German football. "Fans recall amazing moments when they think of him, whether representing the national team or playing in the Bundesliga," said League President Dr Reinhard Rauball. "We have lost an impeccable sportsman who was extremely well-liked, particularly by fans, due to his friendly, pleasant manner, and - despite his many successes - he was always very down to earth. As a manager and a coach, this made him a role model for the next generation, particularly in his many years as coach of Germany's U-21s." The League Association Board, the DFL Deutsche Fußball Liga and the whole of professional football in Germany honour the memory of Hannes Löhr.